Whether you’re staying with us or you’re a local, you can relax while we do the pampering at Village Spa Glasgow. We offer a tempting menu of everything from the latest beauty treatments, to spa days and overnight packages. 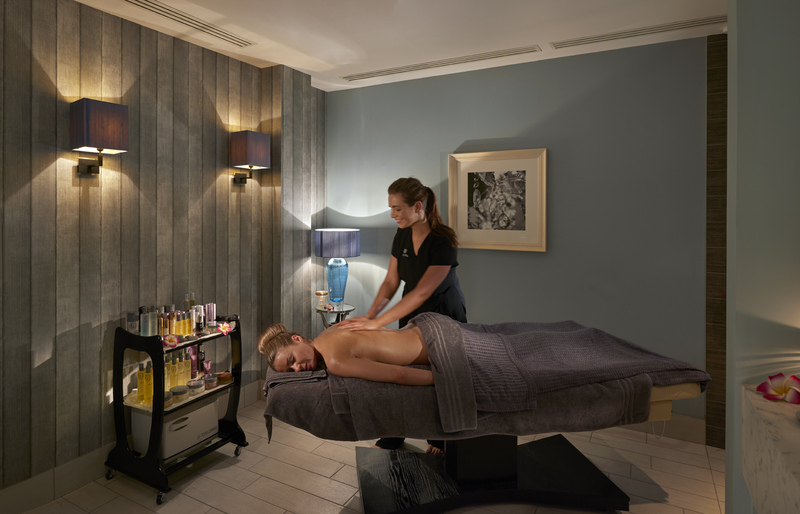 Our therapists at Village Spa Glasgow are highly qualified and use products from some of the biggest and most renowned brands in the industry, including ESPA, High Definition, Jessica, GELeration and St Tropez. Had a back massage and facial. Amazing time. Felt so good afterwards. Definitely will return in the near future. Only downside for the spa is you need to walk from the general changing area into the main foyer and into the spa...not ideal when you are trying to go one way through the gym barrier and there is a Q of people waiting to go the opposite way. Hotel need to figure out another route for spa guests. Thank you for your 5* review of your recent spa treatments Alison. Thank you for your 5* review of your recent spa treatments Karen. This was my second time with Darcy and it was fantastic , brilliant chat and she is very professional, I’m very happy with my new lvl lashes and my eyebrows, once i was enquiring she also helped me which facial treatments would be best for me next time very highly recommended. Thank you for your 5* review of your recent spa treatments Annabell. Thank you for your 5* review of your recent spa treatments Paula. Booked this through Groupon, paid £50 each, had two treatments, used the pool, and the Jacuzzi, came to the final hurdle for our tea. young girl at the Spa, said that will be an extra £15 each, why i said?? Because you came on a Saturday, i think this was terrible, as i think we had paid a fair amount to start off with? Spoke with the manager, nothing his reply you should have read the small print......!!!!! Thank you for your feedback of your spa experience with us Yvonne. We welcome all feedback as it allows us to continually improve our guest experience, and we will be sure to review the points you have raised. We look forward to hopefully welcoming you back again soon. Wonderful,Laura was considerate of my condition,I’ve had major back surgery,She gave me a fabulous massage and a lovely facial followed by my pedicure,it was a Birthday gift and very much appreciated. It was my first time at The Village Spa,I will be back and your special offer of facial and massage is a very good deal. Overall I was delighted with Laura and your spa. Thank you for your 5* review of your recent spa treatments Debbie. Thank you for your 5* review of your recent spa treatments Theresa. Thank you for your 5* review of your recent spa treatments Christine. My therapist Sarah was so brilliant and as I often go for treatments at other spas, Sarah was definitely the best I’ve had. She listened to what I wanted from the treatments and was so professional and attentive at the same tine. She made me feel at ease and I thoroughly enjoyed both of the treatments!! Thank you Sarah!! Thank you for your 5* review of your recent spa treatments Gayle. Fabulous. Feel really great after the treatment every time. Thank you for your 5* review of your recent spa treatments Sarah. Thank you for your 5* review of your recent spa treatments Fiona. Massage and facial were fabulous. Loved them and the girl was great. Didn't realise that I had to pay £12.00 at the end. I assume that was for the robes and towels. Not happy about that as this was Xmas gift and I used it with my sister. Thank you for your 5* review of your recent spa treatments June. Thank you for your 5* review of your recent spa treatments Finn. Lovely facilities and the Spa treatments were great, especially the deep back massage and service was great. Thank you for your 5* review of your recent spa treatments Gillian. I can't be 100% sure the girl who looked after me was called Caitlyn but I'm sure it will be on my notes. I was super impressed by her professionalism and she gave me a wonderful facial to suit my needs. Enjoyed the spa special package with my teenage niece, she also enjoyed her massage by Sharon. Highly recommend and will return. Thank you for your 5* review of your recent spa treatments Lesley. The massage was so good that I fell asleep! The whole experience was just beautiful... The staff were also very welcoming. Thank you for your 5* review of your recent spa treatments Carole.